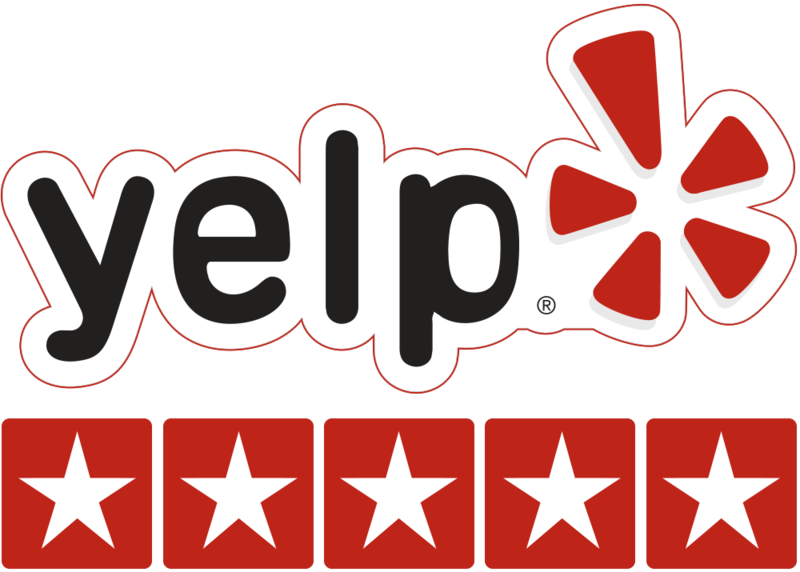 We are proud of our 5 star Yelp reviews and value the opinion and feedback of our wonderful clients. Browse what recent reviewers are saying below. Excellent customer service! After the first rain since May in L.A., our roofs have taken a hit and people were on edge. Under such circumstance, I called several roofing companies, and to my dismay, no one was answering- yep, the list of unanswered calls went to such companies like: LA Top Roofing, ANR, J&J Roofing, and Allied Coastal ( all of whom have gotten high ratings on Yelp, yet no one answered calls). Luckily, I was able to reach AAA Roofing Services through Yelp and spoke to Will today and although the company is booked 5 weeks in advance, he gave excellent recommendations to call Allied Supply for reputable roofers referrals who can come out quickly to see our roof. To me, this gesture went above and beyond my expectations. To my delight, I was able to get 2 reputable roofers from the referral and they were able to schedule me right in. Thanks, Will and AAA Roofing Services, for saving our behinds until the next rain session! If you're wondering why this company has so many amazing reviews, it's simple, Lee and his company are a genuine breath of fresh air and Lee is one of the most honest and trustworthy people you could deal with. Having had repairs made to our roof in March 2016 (by a different company) we were gutted when the heavy rains returned last week and we had rain leaking in via our fireplace and our babies bedroom, from the exact spot that was repaired. With our previous Roofer not returning calls we naturally started calling different Roofers and thankfully we came across AAA Roofing. We dealt with Lee and honestly it was a genuine pleasure and we cannot thank him enough for everything he did to help us, to say he went above and beyond is a complete understatement! We could not have been more grateful and appreciative of how he went out of his way to help us. If you need roof repairs then call Lee/AAA Roofing. It will be the easiest solution to any roofing problem. Called AAA Roofing based purely on the Yelp reviews for an estimate to repair a leaky roof. Lee called me back promptly and arrived when he said he would. Explained everything very clearly to me as well as the job that would be required. The first thing Lee said to me was that I did not need a new roof, the exact opposite of a roofer I had come out a couple years earlier for the same job. That roofer wanted me to consider changing out the entire roof (I did not get the roof repaired then and lived with the leak for a while). I liked Lee for the start, he seemed very honest and fair. I like to go with my gut on these things and I was NOT disappointed. He arrived on time on the day of the job and finished when he said he would. He even spotted other issues which he fixed for free (as other reviews have said). Also the final charge came in under his bid as he was able to salvage some pre-existing materials. Really highly recommend AAA Roofing and Lee. A quality experience and will gladly use in the future. Lee the owner is an honest, good man. He's a man of integrity, keeps his word, and is a professional through and through. He and his crew went the extra mile for us and gave us a brand new garage roof to help protect us from the upcoming El Niño, and all for a very competitive price. They even did maintenance checking and fixing on the other parts of our roof. Lee's a genuinely good guy. I will refer him to friends and family over and over again...you will not regret working with him! Trust me. I contacted AAA roofing while I was looking around in the area for some trustworthy roofing companies that would do the job professionally and in a timely manner. I came across AAA roofing and boy did I find a gem! Lee, the owner, contacted me and I set up an appointment to have him come out and look at the roof for a free estimate. From the moment he showed up he gained my trust. He broke everything down for me from the type of roof I needed to the exact work that would be done on my roof. He was extremely polite and respectful. He had a free estimate emailed to me with the exact specifications to my house with a price the same day, amazing! I called Lee a few days later and told him it was a go. He worked well with my schedule and two weeks later, whammy! A new roof. The week the roof was being replaced I was out of town. Lee personally sent me videos on my phone every day keeping me updated while I was away. Upon arriving at home, the roof far exceeded my expectations!! Thanks AAA roofing! We are ready for El Niño! Excellent experience from beginning to end. Lee was always responsive and maintained good communication throughout our project. He gave us good information about what we needed and the pitfalls to avoid. His quote was competitive, so it became an easy decision to go with him. Our job was completed on schedule and on budget. Lee says what he's doing and does as he says. So, even if I'm no roofing expert, I feel highly confident about the quality of the work he did on my house. Overall, it was as good an experience as you could ever hope for. Lee is as professional and had working as anyone I have ever seen. I saw a USMC sticker on his truck so I suspect that may have something to do with his professionalism. He returned my call very quickly and was on time for our appointment. He showed me where the problem was and squared me away in no time! This guy is the real deal and will be my go to guy for my home and businesses. As consumers and home owners, we are often reluctant to hire individuals or contractors for fear that they are going to take our hard earned money and rip us off. Many contractors put on a great persona when they want your money and unfortunately it doesn't take long before they show their true colors. Lee, the owner of AAA Roofing Services is the exception. From my very first call to Lee about getting an estimate, to the day before the job, the day of, and until the job was complete, Lee was involved every step of the way. Lee is a not only friendly and kind, he is passionate about his profession, and above all, he is honest. I talked to Lee about our tight budget and he was very considerate and thoughtful. He gave me several options that were very acceptable and he never once tried to sell me or scam me about additional repairs or added cost. So if you are looking for a new roof or just a repair, I urge you to give Lee and his team a call. I promise you won't be disappointed. I may have to rate AAA Roofing Services twice, they deserve 10 stars. I HIGHLY RECOMMEND AAA ROOFING SERVICES to anyone needing any work done on their roofs. I had two roofs replaced at my property, one for a single-story rental and one for my two-story house. I must say that we are extremely satisfied with the work performed by Lee and his crew. Lee did everything that he promised he would do. First, when he came to my house for an estimate, he sounded very knowledgeable and was able to provide me a very reasonable quote for the job. He called me when he said he would; his crew arrived on time every day and performed the job to perfection within the time promised; and Lee personally showed up every day to inspect the work being done. The crew that worked on the roof led by Ramon were professional and worked really hard during the 3 days it took them to complete the job. They were very careful to move any planters that were on the way to make sure they did not get damaged, and put them back in their place at the end of their work. They cleaned everything around before ending their daily shifts. In addition, they were very receptive to any requests I had regarding additional needs. More importantly, Lee stayed true to his price, and at no time did he try to make me pay for any unnecessary items; on the contrary, even though there were a few pieces of additional plywood and other materials that were not initially mentioned in the contract, Lee did NOT charge me anything extra. It was an absolute pleasure working with him, and I've already received a couple of compliments from my neighbors about the excellent work performed by AAA ROOFING SERVICES. Based on my experience, I can guarantee that you will be very happy if you give them a call! I can't say enough about how positive our experience was with AAA Roofing. Lee was here on Monday and our roof repair was done by Wednesday. His quote was more than fair and he was extremely personable. We'll definitely be using him the next time we have a roofing issue. Lee was really amazing to work with from beginning to end. He responded with a sense of urgency and was always willing to explain things to the last detail when I was confused. I truly felt like he had our best interests in mind when we was talking to us about possible solutions for our roof. After getting two other roofing quotes Lee was the most competent and competitively priced. Even after the job was finished he called to confirm everything went as planned and that he was available for any further questions. Call them if you need help with your roof! I found AAA on Yelp after getting an estimate for a new roof from a guy my friend used. I was ready to go ahead with the recommendation because I am so punch drunk from contractor abuse. My colleagues encouraged me to get more estimates, so I Yelped AAA and found Lee. I thought the reviews were too good to be true, but I called him anyway. They weren't!! Lee, the owner, took his time to explain everything, and remained true to his word, His crew is on payroll, not a pickup crew. Lee stayed mentally engaged with my job until it was finished, checked in often, was reachable always, He didn't disappear for days like they do sometimes. He had to deal with a rainy day when the roof was open, but kept the house from harm. He didn't "cheap out" on materials.All in all, his company did a GREAT job, and oh! came in $5,000. less than my friend's recommendation. It's very endearing that it is obvious that Lee and his crew take pride in a job well done, and it shows in everything he does. I hope he knows he's beautifying Los Angeles and giving homeowners peace of mind one roof at a time! I have NEVER had such great customer service. The job went so well, I am SO happy, and wish all tradesmen were like him. Found AAA on Yelp. We called and Lee was out within a few days. Saw the issue, explained what needed to be repaired and didn't try to sell us on anything. In fact, when he began the repair and saw he could use some of the existing material he pointed it out to us and reduced his price! Fast, professional, and reasonably priced. I would recommend AAA to anyone! Lee visited today to quote a roof repair/replacement and ended up re-sealing four areas on our roof that were causing us problems for free, again I say for free. I wasn't expecting this at all and I'm extremely grateful to him for making the extra effort that other contractors didn't. I will always go through him and AAA for all my friends, family and business roofing needs. Lee is guy with a lot integrity who will help you meet your needs economically and not sale you something that isn't need. God bless Lee and AAA. I was able to schedule the appointment quickly. Lee visited the place and assessed for the leaky roof and communicated clearly about the date roof installed, type of material used, pros and cons of having such, durability and problems he foresees. He gave good recommendation in regards to maintenance and offered to fix it for free if escrow closes. My realtor was very happy and gave a good positive feedback about the skill of the person. Lee came out to look at a leak from the roof to garage. He took a look and some video and then showed me exactly where I needed a little caulking to fix the problem. He told me everything else was in good condition and that I could really do it myself in 15 minutes. He didn't charge me for the visit or roof inspection. How refreshing! Lee is THAT guy, the one who takes pride in being an honest person who enjoys his job. When I do have a serious roof problem I will only call Lee. Thank you very much. After I purchased my house I realized that the car port roof was leaking. I called several roofers and AAA was not only the first to respond but also came out within 24 hours for a free estimate. Within 2 days AAA roofing came out and installed a new GTA Torch on my car port roof. I would only recommend AAA to my friends and family. It was a pleasure working with Lee! Called AAA Roofing based on the many positive Yelp reviews. I have 2 buildings with persistent leks no one else has managed to track down. Lee gave recommendations (one which did not involve hiring him.) He and his crew repaired the other roof for a fair price (was able to use some materials he already had, saving me $) He arrived early with his friendly, knowledgable crew, and did the work quickly. Based on his service, friendliness, and price I recommend Lee & AAA. I'll repost after the rains start and let you know if he solved the leak. :) 5 Stars. Lee was very professional and responsive with his visit. He got on the roof and gave me his assessment of what was going on. His quote was very competitive. I ended up not doing anything to my roof for now because the leak was very minor, but I would consider using AAA in the future. Had a small leak appear over night so called these guys. Lee came out to assess it and told me it would be much cheaper to fix myself. He told me what I needed to get and how to fix it. Turns out to be a 15 minute fix. Very honest company with great customer service. Would highly recommend! Recently a tree fell on my garage roof. It was a disaster. Luckily I called Lee from AAA. He came out the next day, assessed the damages, quoted a great price and had the job complete almost as fast as the tree fell. Working with AAA roofing was a pleasure. If you have any roofing issues be sure to give Lee a call. Lee immediately returned my initial call, showed up on time to give an estimate and was well within the middle range of estimates. He provided an extremely clear and concise contract and only requested payment at the end of the job. He showed up on time to do the job and finished early! Great communication and customer service throughout. Highly recommended! Best roofer period. He has bent over backwards for me every time I've called him he's not only somebody I would recommend to everybody but I will continue to use him because he's always been great with prices and he's an awesome person! give him a try you won't regret it! Our ONE rainy weekend in Southern California and this company came to my rescue. Saw his ad on Craigslist, called a few companies prior for a leaking and collapsed drain pipes from the winds.. I spoke with LEE, sounded down to earth, no running around questions and prices like everyone else and came that same day to give me an onsite estimate. Couldn't have chosen a better company to help us, got the job done with his guys fast and clean. HIGHLY recommend this company and is now my go to for roofing services. Thank you for your Honesty and Professionalism. We unfortunately ran into a pretty bad leak on the first winter rain storm in a couple of years in L.A. I called AAA Roofing because of their excellent ratings on yelp. Let me tell you, the rating do not lie! I spoke to Lee, really cool guy; prompt and he gave me a great price. Let alone the job was done in no time! I completely recommend this company! Thank you Lee and AAA Roofing for your excellent job! From the moment I contacted Lee, he went out of his way to help us. He helped us pick high quality material. He was kind and understanding. His estimate and final price was the best of anyone (I had bids from four other contractors). He was honest (I had several people tell me "what I had to do"). He called back immediately when I needed him. It was a pleasure working with him. I have already recommended him to someone in our family. Our roof is beautiful. The inspections passed. I can't wait for the rain!!!! He is the best. After procuring numerous bids for a re-deck of my home I decided to go with AAA Roofing. I personally favor high quality workmanship and materials when dealing in asset protection/home improvements. AAA offers both. Lee came to my property and gave me a straight forward estimate without any surprises. Lee definitely puts his best foot forward when dealing with customers, his professionalism really shines here. The job was finished well before the established timeline given on our contract. The workers worked efficiently and cleaned up the insane mess left by tearing off our old wood shake roof. The materials were delivered on time, and the shingle installation was top notch. Although Lee may not be the lowest priced roofer in town, the type of customers he should attract should be those wish to install a high quality product that will last and look beautiful and most importantly be worry-free. I consider AAA to be my go to roofer from now on. I hired Lee for a roof overlay. He was very prompt, always showed up on time, got the work done in one day, and was a pleasure to work with. These are things that are important to me in hiring anyone to work on my house, and he scorrd high in all areas. I recommend AAA Roofing Services highly. Great service, top notch customer service and craftsmanship. Lee did a great job on my chimney flashing repair. He went above and beyond what was expected. Would definitely get AAA roofing for any future roofing needs. I was referred to AAA Roofing by a friend of mine. I could not be happier with using them. Lee was such a pleasure to work with. He came over, looked at our roof, made his recommendations and we went from there. He brought over a few different sample boards which made it very easy to pick the exact material we wanted. We went with a dark gray. The whole process was very seamless and his prices were way better than other quotes we had received. Lee was not pushy at all. In fact, he was able to save us $65. I know thats not a whole lot, but he could have not said anything. I think the fact that he did is a testament to how honest the company is. The job took just about 2 days from beginning to end. I am so glad he was able to do it for us before the rain starts! Thank you again Lee and AAA Roofing. We needed a new roof on our house and my husband I got two different quotes from other companies but for some reason we still were not satisfied with the customer service and the pricing that was quoted to us. So I decided to go on yelp to find out who was the best roofer company in my area. I called AAA roofing and spoke to Lee the owner of the company and he was very polite and was help schedule an appointment for me that was accommodating for me versus the other companies. When we met him he spoke to us about what the best material that needed to be done on the house and the essentials on had to be done to the roof. After speaking with Lee we decided AAA roofing was the best choice for us because of the pricing and the materials they can provide us. After just 3 days of stripping the roof, city inspections, and final inspection we couldn't be happier with the results. The craftsmanship and the quality of the construction is amazing. Lee was very professional, well mannered, and lived up to every expectation from the day he explained to us what he can do on the roof. It was perfect timing because on the 4th day of having the new roof there was rain and we felt content and safe knowing our roof would hold up. Thank you Lee and AAA roofing for all you have done and we will continue to recommend you and call you in the future. The last rain fall we had sparked a leak in my Dad's roof. I've know Lee through a mutual friend and called him to see if he could help. He's rates were very reasonable and he fixed the leak within 24 hours. Great service, I couldn't be happier. I will definitly refer him to friends in family if we're ever in need. Lee responded quickly. He came to my house within a few hours to give me an estimate. He followed up the next day. When he began work, he kept me up to date with calls and texts. Very professional. He seems ver proficient at his job. Very nice guy. I would recommend him to a family member.